Le Survivant | Exhibitors | LagosPhoto | International art festival of photography in Nigeria. Le Survivant is a photographic performance and expression of the self as a survivor of war in the Democratic Republic Of Congo. My work is a response as well as a reflection of the chaotic situation of war in my homeland. The performativity nature of the images forges as an identity of a difficult and tense being. This body of work is a reflection of the trauma that resulted in being exposed to the horrors and tragedies of war and the distress that follows you as an immigrant in a foreign country. The nature of this trauma and distress continues to stretch its claws of fear, inner turmoil, anger and bitterness into my selfhood. 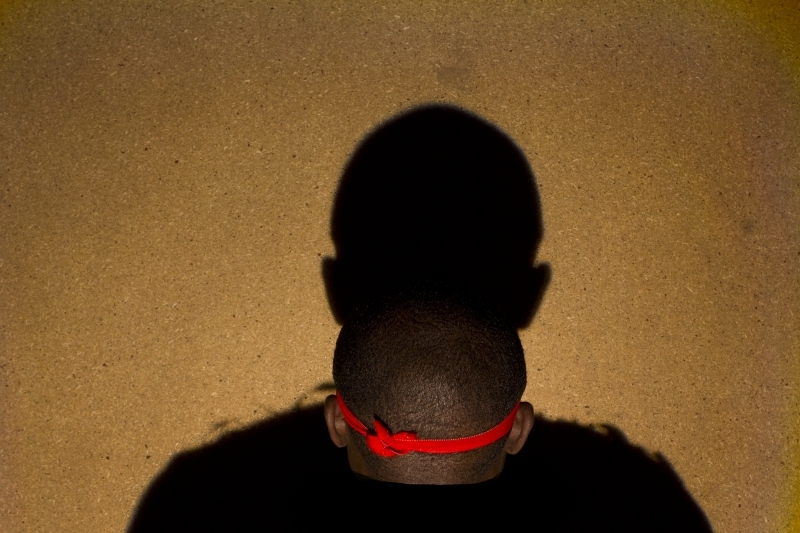 emerging African photographers to engage with curators from the continent and further afield. In November 2015, Selemani will attend the Master Classes at the Rencontres de Bamako.